Not many of us can keep up with the fibs we tell, but octogenarian Roy can. He is a master confidence artist, after all, and he has been lying all his life. The novel begins with the plotting of his last scam: wooing a wealthy widow, Betty Barber, and absconding with her retirement nest egg. But, in this literary equivalent of con films Ocean's Eleven or Matchstick Men, it soon becomes clear that Betty is not the ditzy blonde Roy makes her out to be. But what is her goal? And why? It is the desire to find out the answers that propels the reader to keep turning the pages, though British author Nicholas Searle makes it easier with his dry dialogue and wit, which reveal the cynicism in many characters. The main characters are captivating. Roy is oddly alluring despite his dripping disdain for humanity, while there is something inherently mysterious about Betty, because her demure persona belies something much more complex. As Roy advances towards Betty's money, the action alternates with flashback sequences of key moments in his past. Settings include Berlin on the brink of World War II and London under Tony Blair, each era revealing more of how Roy came to be the manipulative man we know him to be in the present. While the book gets tedious occasionally, especially in some past- tense accounts, the pace picks up around the two-third mark. The big reveal is an a-ha moment, sure to send many a reader on a second read to pick out the clues they missed along the way. It is worth sticking around for. So is the aftermath. 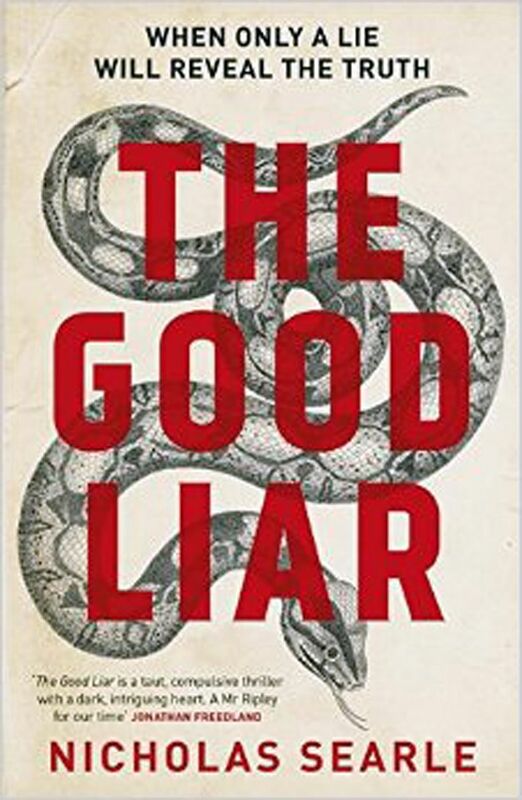 At its heart, The Good Liar is about good versus evil, comeuppance and closure. The final scenes give both characters the endings they deserve, even if some readers may find themselves wishing more vengeance upon them. By the end of the book, we learn that a sharp conman may be able to keep up the game of charades for a long time, but the truth always comes to light. If you like this, read: The Grifters by Jim Thompson (1963, Mulholland Books, $25.36 Books Kinokuniya), about a conman also named Roy, who also finds himself at the mercy of a spry old woman. It remains one of the go-to books on deception and betrayal and has spawned a critically acclaimed film of the same name.